Hello, gentle readers, and welcome to the RPG Reload, the weekly feature where we respect giant dino-cows. Each week, we take a look at an RPG from the App Store’s past to see how it holds up in the here and now. It’s a chance to revisit old favorites, reflect on their position in the overall iOS RPG spectrum, or simply to take a deeper dive than our reviews typically allow for. As per the prophecy, I try to choose a balanced variety of RPGs from week to week, but if you feel like I’m missing something cool, please let me know. You can do that by posting in the comments below, dropping by the Official RPG Reload Club thread, or by tweeting me at @RPGReload. Since the schedule is planned quite far in advance, your suggestion might not appear soon, but it will go on the master list. We’ve looked at a few games from publisher Crescent Moon Games in the RPG Reload already. 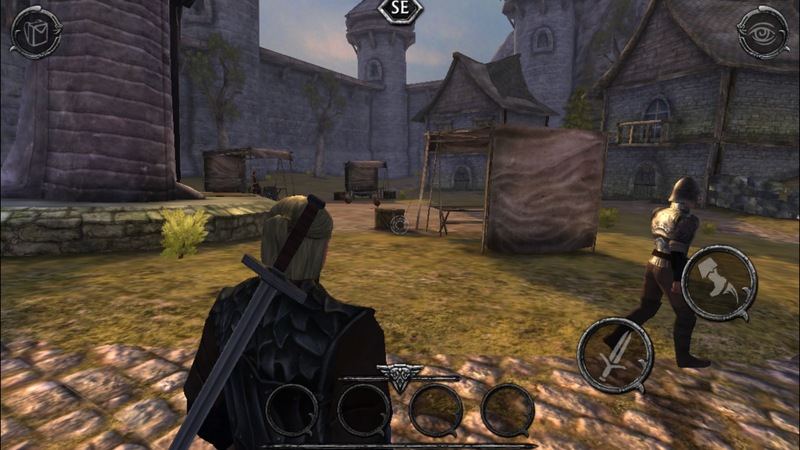 One of the earlier articles covered Ravensword: The Fallen King ($2.99), one of the first big 3D RPGs released on the iOS platform. It’s a little rudimentary by modern standards, but at the time, it was a pretty big hit. Crescent Moon followed up that game with Aralon: Sword And Shadow ($4.99), which took just about every element to a whole new level for mobile RPGs. In spite of the rather large jump in scope from Ravensword to Aralon, the two games released just over a year apart. 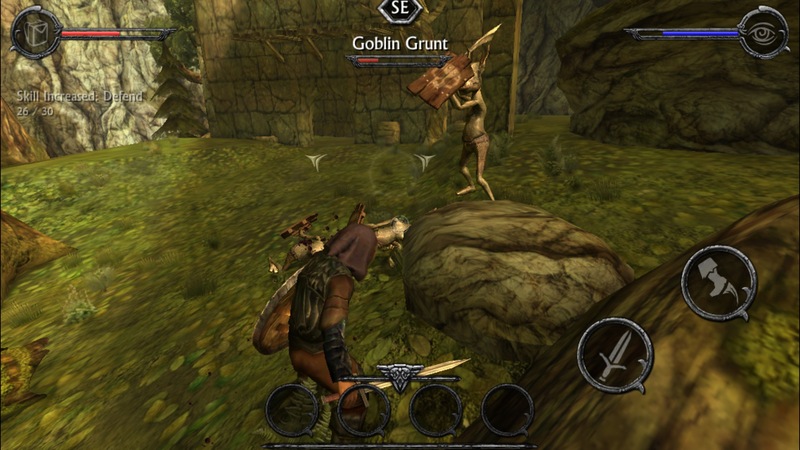 Joined by other standout titles across a variety of genres, these popular RPGs helped earn Crescent Moon a rather lofty reputation among iOS gamers. RPG fans anxiously awaited the next internally-developed Crescent Moon RPG, but they’d have to wait a couple of years for it. Interestingly, the first whispers of Ravensword Shadowlands ($6.99) came mere months after the release of the first game. In March of 2010, Crescent Moon posted a bunch of art and some details on the game in the TouchArcade forums, and expressed a desire to have the game out sometime later that year. Of course, that didn’t happen. It appears that Crescent Moon took a more active role in helping Aralon be the best game it could be, and Ravensword‘s sequel had to get put on the backburner. At the same time, Crescent Moon’s publishing business started to grow, and dealing with the business matters behind all of that probably kept at least a few people away from active development work. The game resurfaced as 2011 came to a close, with some impressive but unfinished rendered artwork showing off, if nothing else, that the game was still alive. In March of 2012, our own Jared Nelson got to put hands on the game at that year’s GDC, where a tentative mid-2012 release date was set. It didn’t quite make that date, either, but the release of a trailer in October seemed to indicate that the long wait would soon be over. Ravensword: Shadowlands finally released on December 20th, 2012, receiving rave reviews from critics and fans alike. The game was a massive improvement over the original game, and a solid upgrade in most ways over Aralon. Over the course of the next year, the game received two fairly large updates that added new content and fixed issues reported by players. Since then, there have only been a couple of other updates, typically to ensure compatibility with new iOS versions. 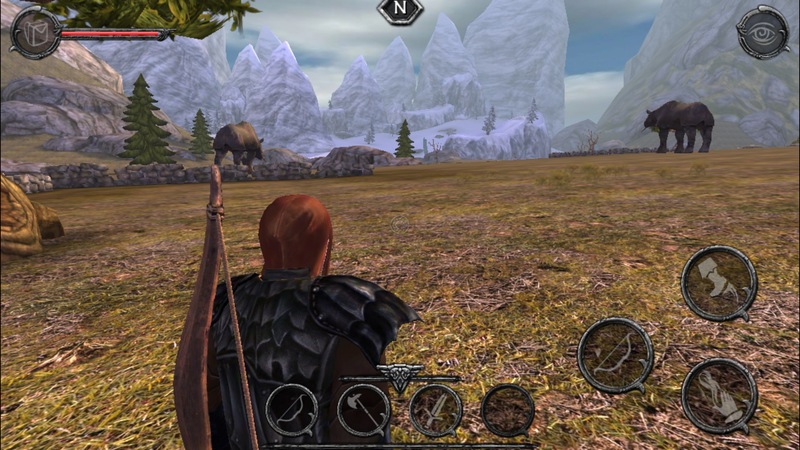 The game currently runs quite well on modern devices and iOS versions. Now, I’m not going to lie, friends. Playing Ravensword: Shadowlands makes me a little sad. When this game hit, things looked really hopeful for premium, relatively high-end RPGs on iOS. The market enthusiastically supported games like these, and thus publishers were able to justify sinking greater and greater costs into them. But things were already changing as Ravensword: Shadowlands hit, and the market would soon swing in a major way. Today, it’s hard to imagine a game like this releasing exclusively on mobile platforms. With weakening sales for paid games, even Crescent Moon has had to scale things back, resulting in games that failed to impress most players, like Exiles ($4.99) and Aralon: Forge And Flame ($4.99). The upcoming Ravensword: Legacy sports a more stylistic look that was partially driven by a need to fit things into a more realistic budget. I’m hopeful for that game, and I personally think the minimalist look is pretty cool. 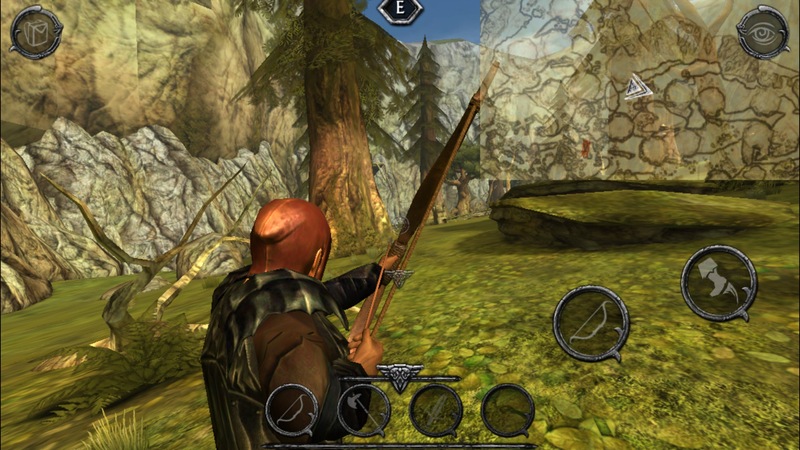 That said, for those looking for something more realistic, it may well be that Ravensword: Shadowlands ends up forever being the mobile peak for this particular type of RPG. 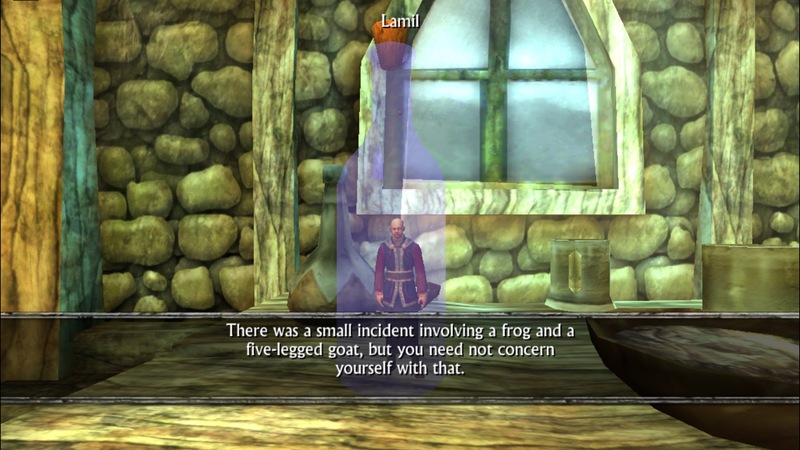 Luckily, Ravensword: Shadowlands is still a great game. If it came out today, nobody would blink an eye at calling it one of the top releases of the year. I think the key is that unlike most budget-constrained open-world RPGs, Shadowlands manages to create reasonably large areas and put just enough things in them to do that they don’t feel empty. I mean, some areas feel a little empty at times, but there are lots of good reasons to poke around. You’ll rarely came away unrewarded when you venture off the beaten path, and much of what you can find doesn’t need to be found, which is to me one of the most important things a developer can do to make an open world feel alive. Ravensword also nicely avoids the issue of open areas feeling too enclosed. The fields feel like fields here, not tunnels. In terms of practical gameplay significance, that might not mean a lot, but for establishing the atmosphere, it’s vital. That’s not to say that the game is as dense with content as a full-blown console or PC open world RPG like Skyrim. It’s not even close. That seems to be the mythical target everyone wants a 3D mobile RPG to hit, but I think it’s pretty plain that’s not going to come in at under $9.99 from a development staff composed of fewer people than are needed to field a soccer team. It’s cool to want things, but at some point, you’ve got to be realistic about this stuff. Within the market conditions and the constraints of the developer, Ravensword: Shadowlands is an outstanding achievement. At best, we’ve had only one original 3D open world RPG even come close to this quality of experience in the three and a half years since it released. 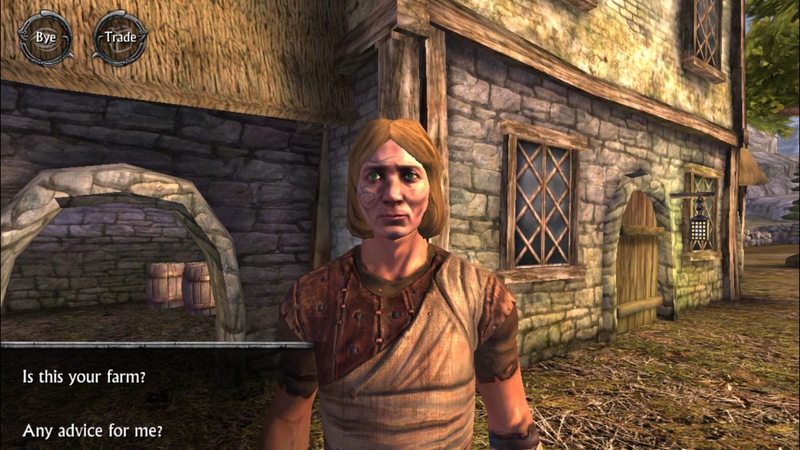 Shadowlands also hits a sweet spot in terms of character building and customization. As far as how your character looks, you can choose from a variety of appearances, and gear is visibly displayed on the character model. From a stats point of view, each level you gain allows you to sink one point into one of your basic attributes, plus another point into a talent of your choice. Talents cover four different categories. Depending on how you prefer to play, some of these talents are virtually essential. If you’re going with a burly melee build, stealth talents probably won’t do you much good. On the other hand, a magic-heavy character likely has little need for extra melee damage. There are just enough categories in the game to give you the feeling that you are making your character your own, but not so many that a less experienced player will be overwhelmed. In addition to these more typical progression systems, the game also employs a system wherein particular actions become stronger the more you use them. Swing an axe enough times and you’ll get better at it. Block attacks and your defense will go up. This is most famously the system used by the Elder Scrolls games, but we can trace it back to earlier games such as Final Fantasy 2 if we want. I find it’s a poor fit for a more traditional turn-based RPG, but in action RPGs like Ravensword and Elder Scrolls, it’s a pretty good idea. It rewards players who specialize, but also encourages you to try things outside of your comfort zone once you’ve capped a skill. You never know when it might be useful to be handy with a bow, so you might as well train it up along the way, right? There isn’t much to the story, and what little is there isn’t particularly unusual for the genre. There’s a big evil who can only be dispatched with the Ravensword, which in turn can only be recovered by first locating the three Ravenstones that are scattered around the world. There are plenty of little sub-quests you’ll stumble on along the way, but as usual for an open world RPG, the best stories are going to be the ones you make yourself. Combat has seen major improvements compared to earlier games from Crescent Moon. Instead of standing in front of the enemy jamming the attack button until they die, you’ll have to occasionally block or take a breather. Not the most complex thing around, but the most popular action-adventure game in the world doesn’t do much better. Battles can get repetitive at times, though, especially if you’re facing multiples of the same enemy type in a row. With no change in strategy, it can sometimes feel a bit too much like lather, rinse, repeat. In spite of its flaws, some of which are only made so apparent by how close it comes in places to matching games of a much grander scale, Ravensword: Shadowlands is a truly absorbing game. At least in my case, if I can sit down with an RPG intending to do a little task or two and instead watch hours fly by, it has done its job. The sequel to Ravensword does that job very well, far better than its predecessor. I only hope that we’ll one day be reading and writing similar words about Ravensword: Legacy. Knowing how significant this series is to Crescent Moon, I have faith we’ve got at least one more epic mobile adventure to look forward to. That’s just my take on Ravensword: Shadowlands, though. What do you all think? Great? Boring? Something in between? Share your stories about the game by commenting below, posting in the Official RPG Reload Club thread, or by tweeting to me at @RPGReload. As an added bonus, I’m pleased to announce that Mr. Josh Presseisen of Crescent Moon Games will be joining us on the RPG Reload Podcast this month to talk about Ravensword and other Crescent Moon RPGs. We’re recording this weekend, so if you have any questions for him or us, please send those to rpgreloadpodcast@gmail.com as soon as you can. As for me, I’ll be back next week with another RPG. Thanks for reading!